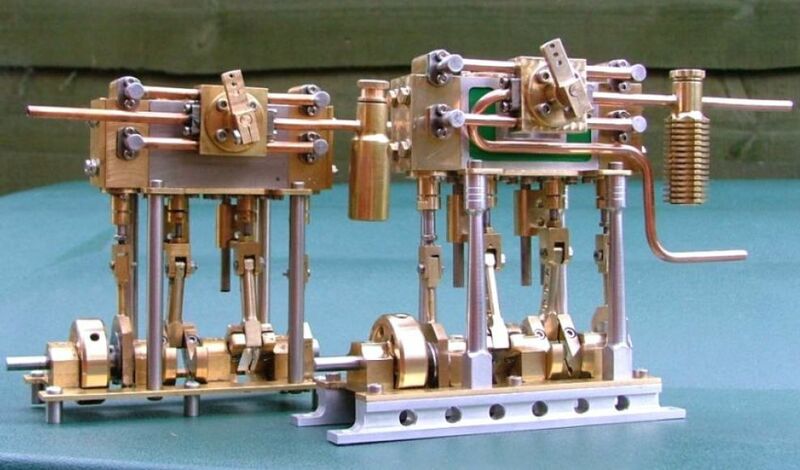 This is not just a set of free plans for a working model steam engine. It’s a well-written, well-organized, profusely illustrated 113-page tutorial about machining metal. If you’re an inexperienced machinist who at least knows the basics I would strongly encourage you to download these plans and build this engine. Don’t let the picture fool you – this is not a difficult engine to build. It will definitely take some time and patience, but if you follow Bogstandard’s step-by-step instructions I think you will probably find it’s not as hard as you might think. By building this engine you’ll learn a lot more than you would by making the typical “wobbler” engine many beginning machinists often build. You’ll also acquire the confidence you need to tackle much more complex machining projects. There are two more reasons for building this engine. First, it was intended to be made inexpensively out of junk or scrap materials. So it ‘t probably won’t cost you a lot, even if you’ll have to buy all the metal for it. 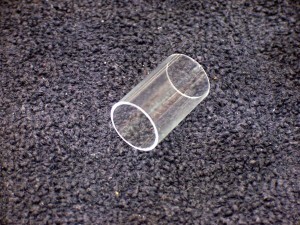 You’ll also find that Bogs tries to help minimize the cost of tooling by suggesting cheaper alternatives when he can. The second reason is that you’ll be able to find help if you have questions or need some advice. The designer is well known for sharing his knowledge and experience and I’m sure that if you have a question, he or one of his friends will try to help you. 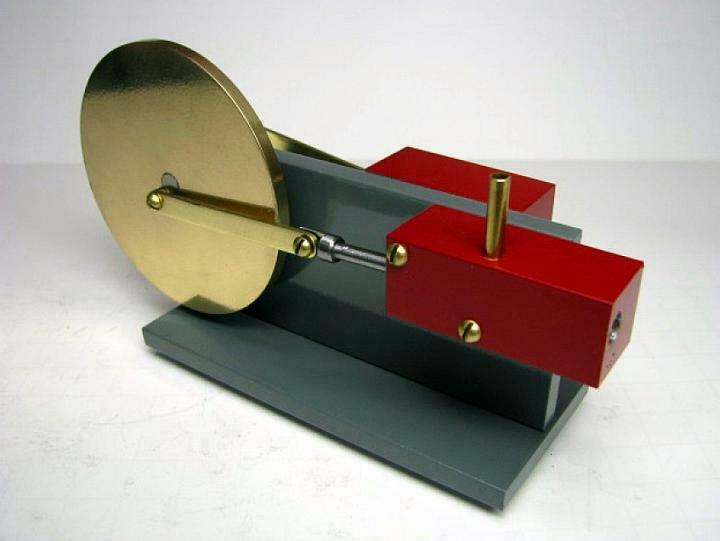 I am not a beginner anymore, but I’m not that experienced either, so I’ve decided to start building it when I finish the Stirling engine I’ve been working on. I think I’ll learn a lot because Bog’s tutorial is full of techniques and methods that I’ve either never tried or haven’t practiced much. The plans use metric units, which could be an issue if you’re in the US or another country still using the Imperial system. I’m in the US (upstate NY) but I don’t think it’s a big problem. I’m building an engine now from metric plans and most of the time I just convert the dimensions to inches and machine the metal to whatever size that is. 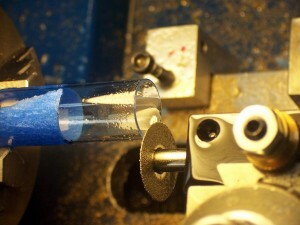 But I have had to substitute SAE sizes for fasteners and threads because I don’t have much metric-size tooling. I’ve also had to make some substitutions when I’ve wanted to use standard-size material, like drill rod for shafts. Those substitutions require a little bit of extra thought and planning, but it’s not a big deal. I said last time that we had finished with the blocks for the moment. I forgot that not all of you will have the means to get a good enough finish on the bore: they will most probably vary from a slightly dull surface, thru what looks like screw cutting to digging out the hole with a hammer and chisel. If you can borrow a reamer, and your hole is still slightly undersize, use one, otherwise this is how I would get an acceptable finish. You can go out and buy adjustable laps, but that costs a lot, just to get a couple of holes cleaned out, this isn’t the totally correct way but it will be better than what you’ve got at the moment. Start with the largest hole, stick the last drill you used through them and wiggle about side to side, the one with the biggest wiggle is the biggest hole. Mark the largest hole with a felt tip. Now chuck up a piece of material to make the lap out of, have it sticking out of the chuck by 1.5 times the length of the hole plus 25mm (1″), I use hard nylon but aluminum or brass will also suffice, I get better results with the softer materials. Carefully (no heavy cuts here, material sticking a long way out of chuck) and turn down the rod until it just pushes through the hole for a length of 1.5 times the length of hole (like Pic 13). Now we need to spend a bit of money unless you are from the old school and have some in your garage. We need to buy some fine and coarse grinding paste, Halfords is about the cheapest at about £3 and you get a grinding stick with that as well. This quantity will last you for the rest of your life. Dab a bit if the coarse stuff along the length of the lap, you don’t need a lot. Get a piece of hardwood and with a rolling action in combination with turning the chuck by hand (you have stopped the lathe I hope) embed the surface of the lap with grinding paste, what you are doing is making a very accurate round file. Select the lowest speed on your lathe and switch on. Keeping well away from the chuck feed the hole to be lapped onto the lap, get ready to let go on this initial feed in just in case it bind up and sticks. If all is well the lap will be turning (without you going round with it) in the hole. Now just gently move the block up and down the lap in a sort of rotary twisting motion. You need to keep the lap fully into the hole at all times. Change the block position 90 deg around the lap every so often, eventually you will get the feel and a rhythm going. 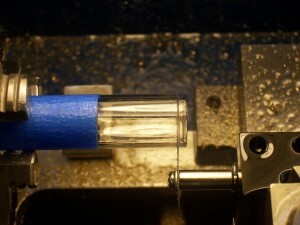 Do this for a couple of minutes, stop machine and check the bore, it should have started to smooth out. Repeat as necessary, wipe off, recharge, turn the block around and come from the other end of the hole, until the rough stuff has gone, then wipe off coarse grinding paste with white spirits and recharge with fine. Repeat the operation. You should after a while end up with a nice round, parallel bore showing slight scratch marks on the surface, these scratches will help the bedding in process as they retain oil while the pistons and bores are wearing against each other. Clean off the grinding paste and turn down the lap to fit the smaller hole, and repeat the process again. When finished give the bores a very good clean out to get rid of any remaining grinding paste. If you remember from before, the pistons are going to be made to fit the bores, so they don’t need to be the same size. Put the lap you have just made in a safe place, you might make something else where you can readjust the size and use it again. I will do the pistons in the next article; it will give time for the batteries to recharge on my camera. In addition to a large assortment of tips and tricks, Bogs covers topics such as safety, engine turning, climb/conventional milling, turning eccentrics, drilling deep holes, silver soldering and more. Again, I’d like to suggest that you download the plans and at least take a quick peek at them. DXF/DWG Component Files (18 Meg, self-extracting) – Richard Harris and Nigel P. Henry took Bog’s hand-drawn part sketches and created DXF and DWG files that can be opened by almost any CAD program. If you don’t have one then you can use the free viewer they included. Bog’s hand-drawn plans are pretty good bu if you would like a more formal set of drawings then get these. They can also be used to construct the engine using CNC machines.